Although it’s possible to have them shrink wrapped in the airport I strongly recommend against it. The baggage systems need the bags to slide at various points and shrink wrapping doesn’t let this happen. I’ve no idea why airports still allow this, I guess the left hand never talks to the right hand! Also rucksack covers make the bags very easy to find on the baggage carousel! 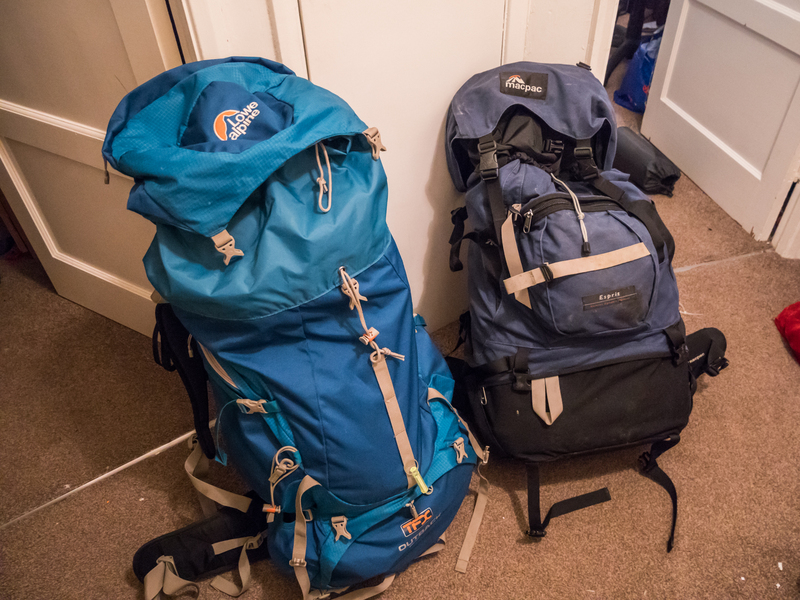 To work out how big the bags needed to be (they are different sizes as my bag is taller and narrower than Jenny’s) we first packed them. 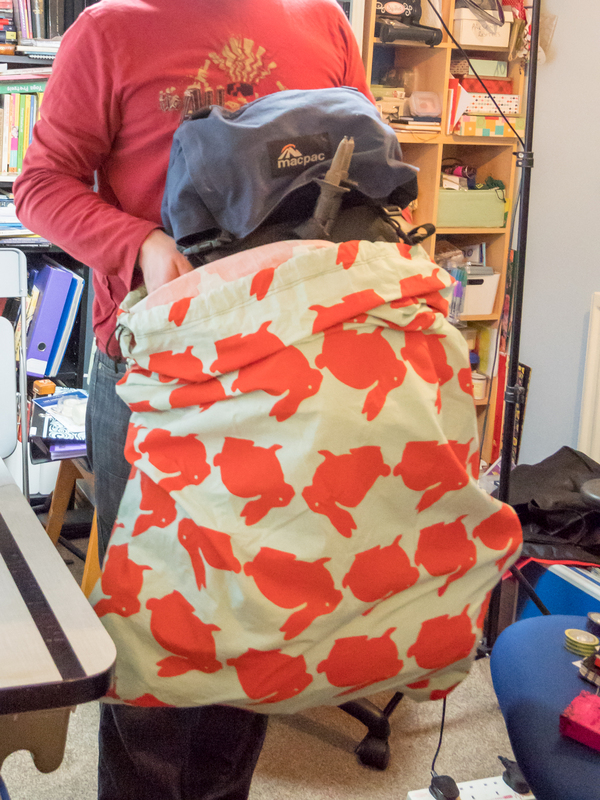 Then we laid the rucksack out on the quilt cover and pinched them roughly in the right place. In the end these don’t need to be a perfect fit, but they definitely don’t want to be too small. With the rough size worked out we marked it on the quilt with the chalk. There’s no need to go really fancy on the profile, a rectangle will do fine. 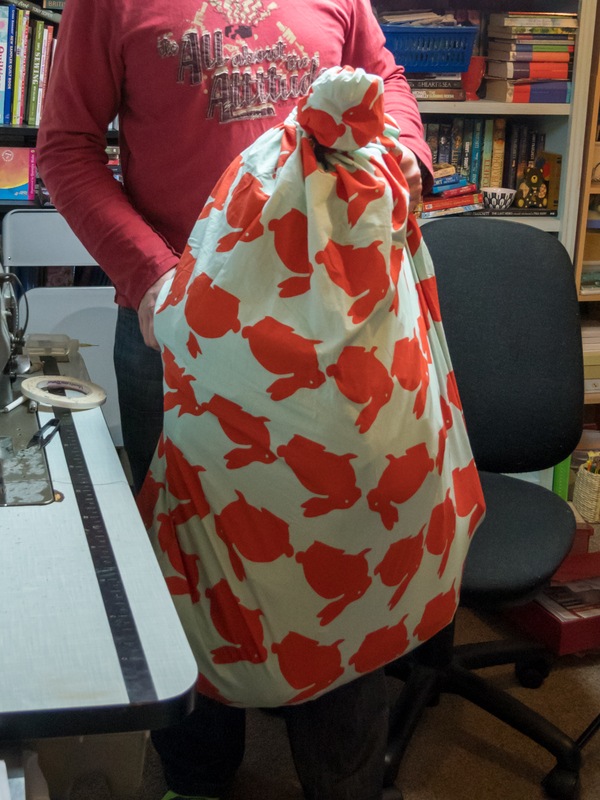 We added 10 cm to the length to allow us to add a fold for a drawstring at the top, to keep it closed. 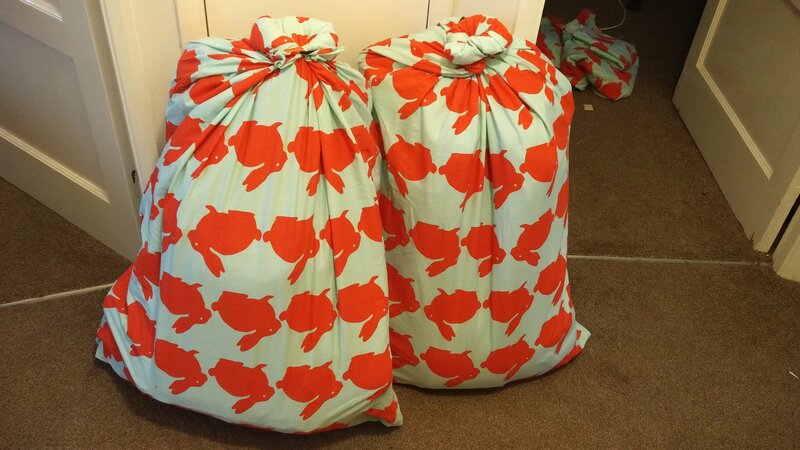 Well that was the plan, in reality though the covers were much taller than the bags (as much as 30 cm), but you can roll the top down and cinch it shut with the draws strings, a bit like a dry bag. 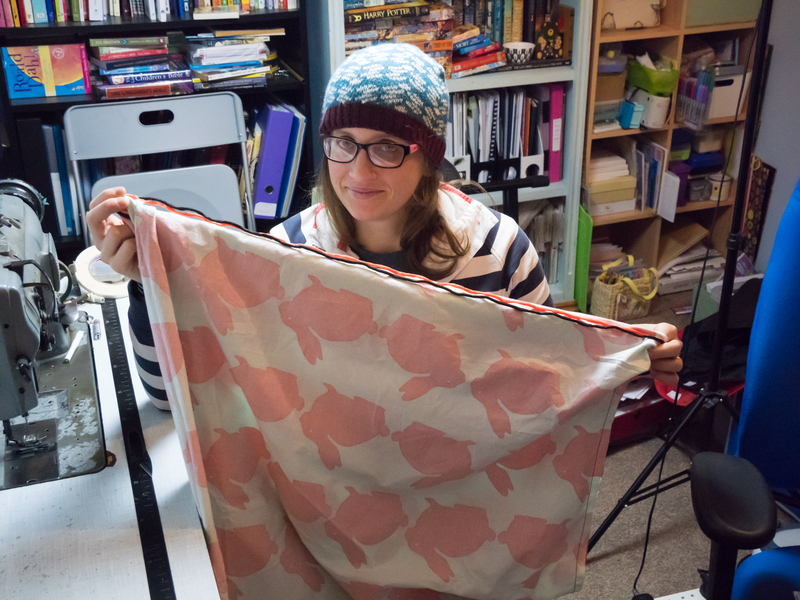 As with most sewing projects, we sew these inside out so that the seams aren’t visible on the finished item. 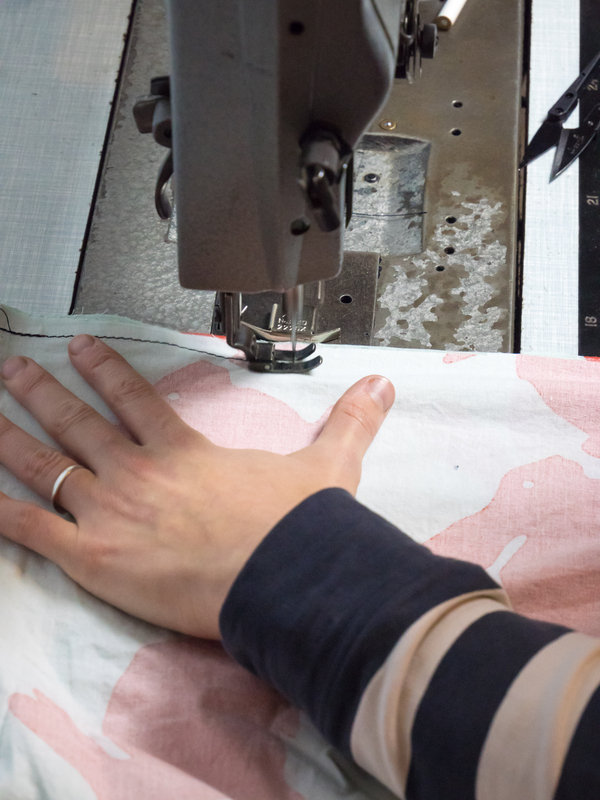 We use the bottom corner of the quilt cover, so it’s just a case of sewing the seam on the long edge, remembering to leaving the top 10 cm clear, as this will be folded back on itself to make a pocket for the 2 drawstrings to run through. 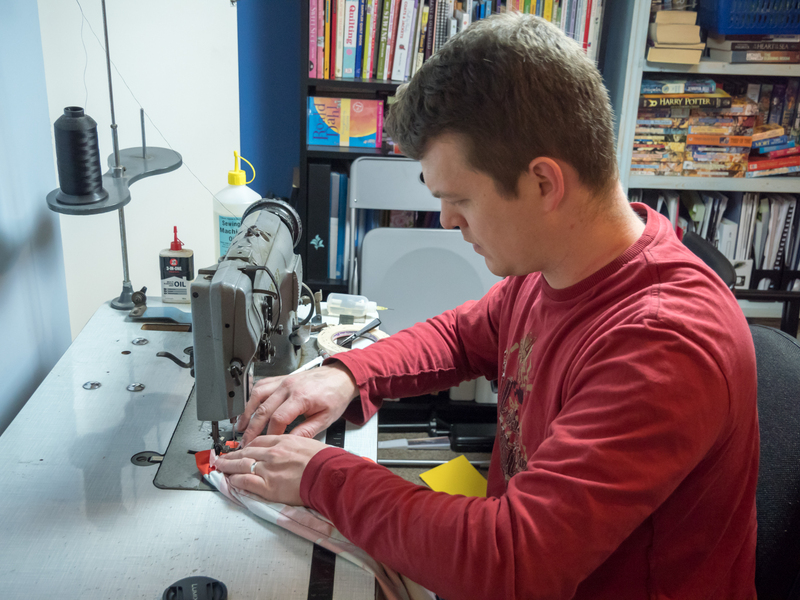 We’re lucky enough to have a large industrial sewing machine, but a normal domestic sewing machine will have no problem with this job. 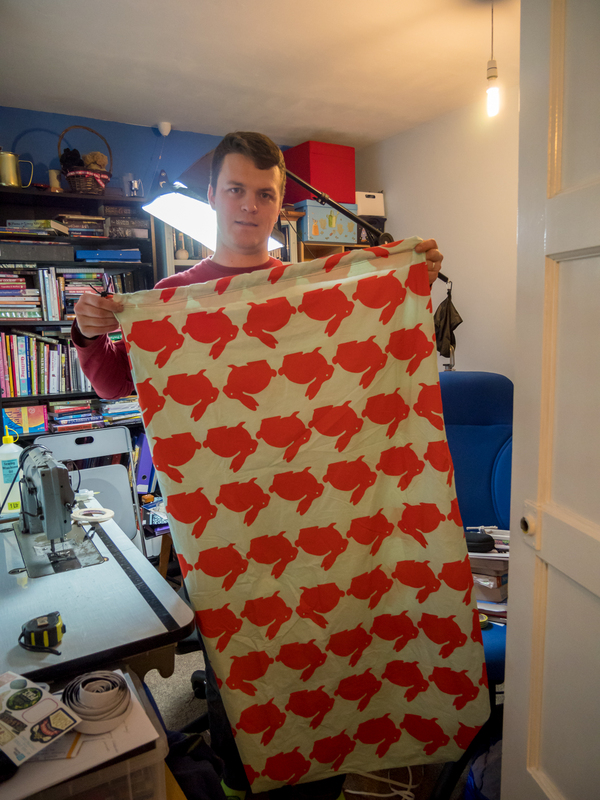 Jenny let me have a play with the sewing machine, so I got to do the next bits, again to make life easier we used basting tape to stick the folds down, rather than pinning it. 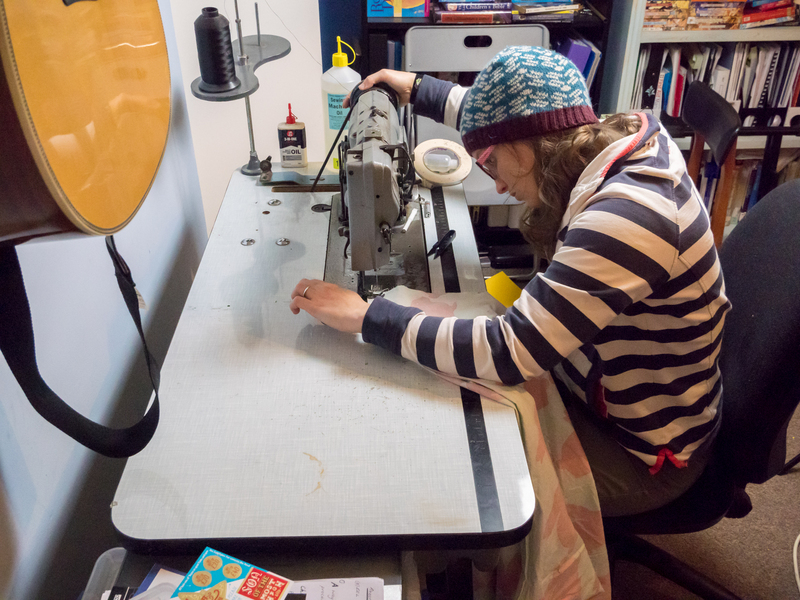 We sewed the pockets with the paracord already inside, as it’s easier than trying to thread it through afterwards. These will be very easy to spot in the airport! I think it took us about an hour and a half to make the two covers. 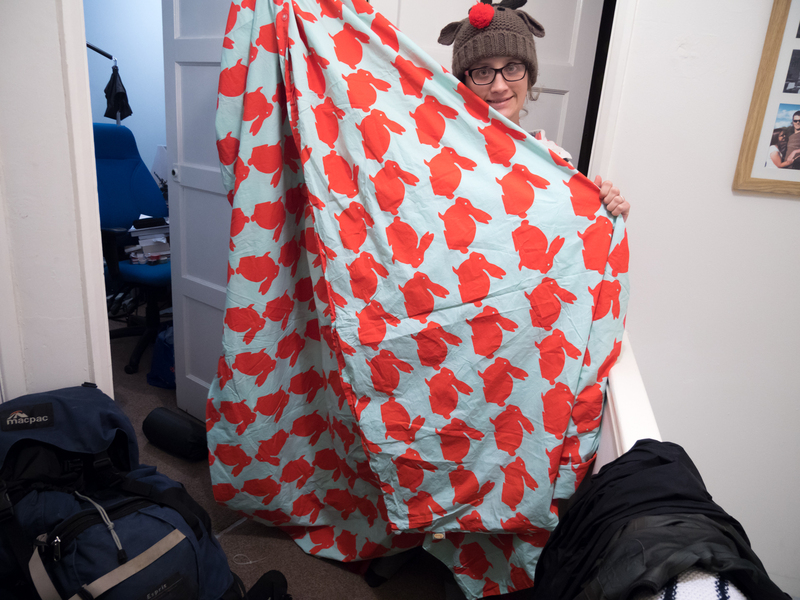 Most of that time was spent trying to work out what size to make the rectangles, which we did individually. In hindsight making them both the same size would be fine. 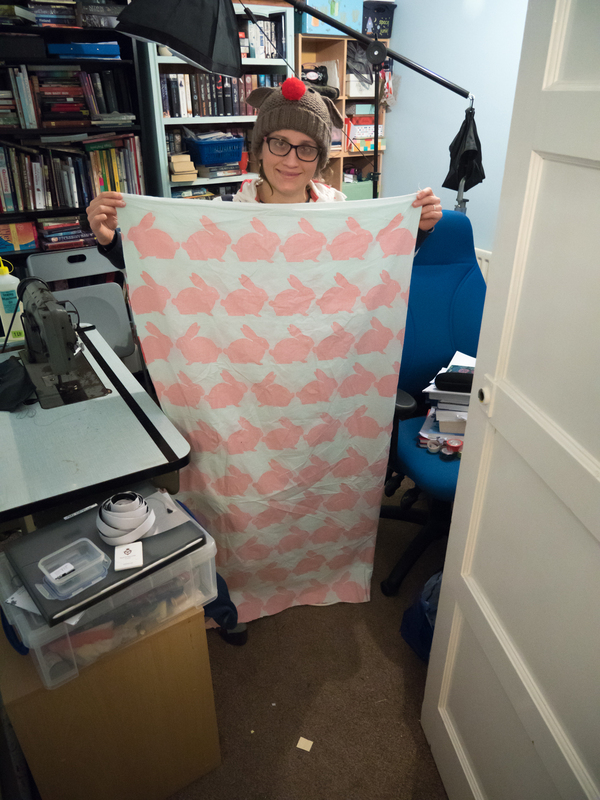 Jenny’s cover is 120 cm tall by 70 cm wide, my cover is 120 cm tall by 65 cm wide.